After Ironman was all said and done it was time to relax and enjoy some vacation time! Monday after the race was all about picking up finisher’s swag and catching up on sleep while hobbling around the house. 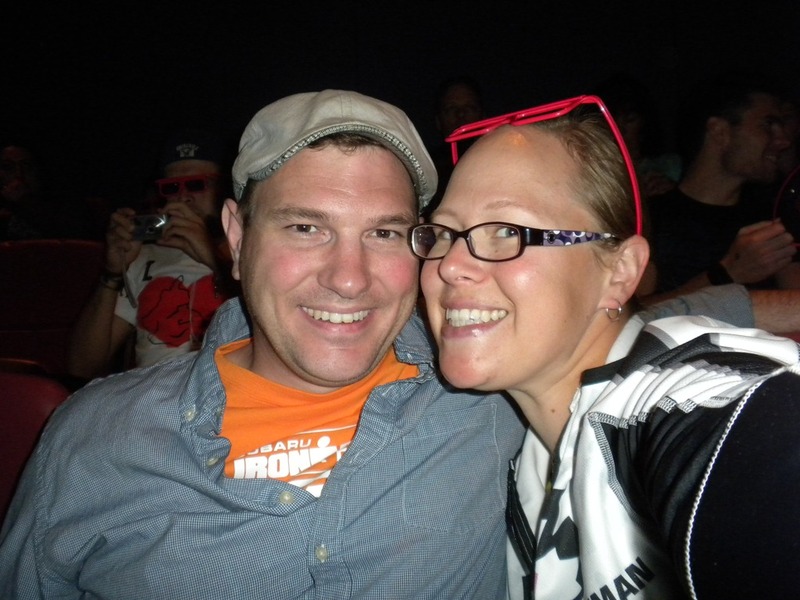 On Tuesday the hubby and I left for a few days in Vancouver! 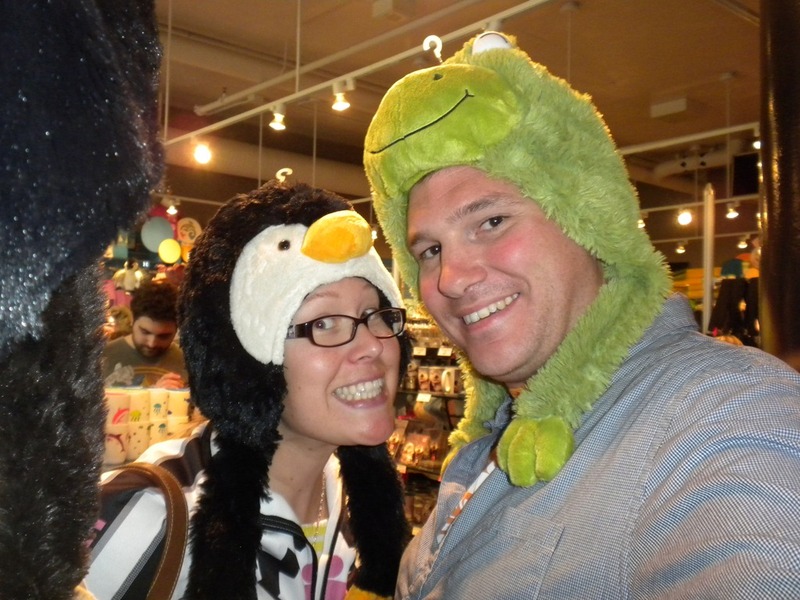 We spent some quality time goofing off at the Vancouver Aquarium. 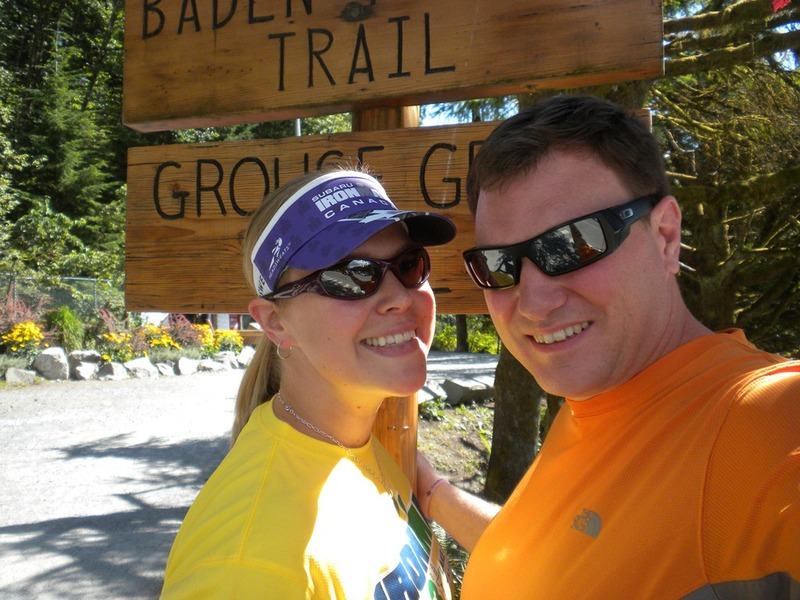 We also decided to tackle a little recovery hike…up the Grouse Grind!! 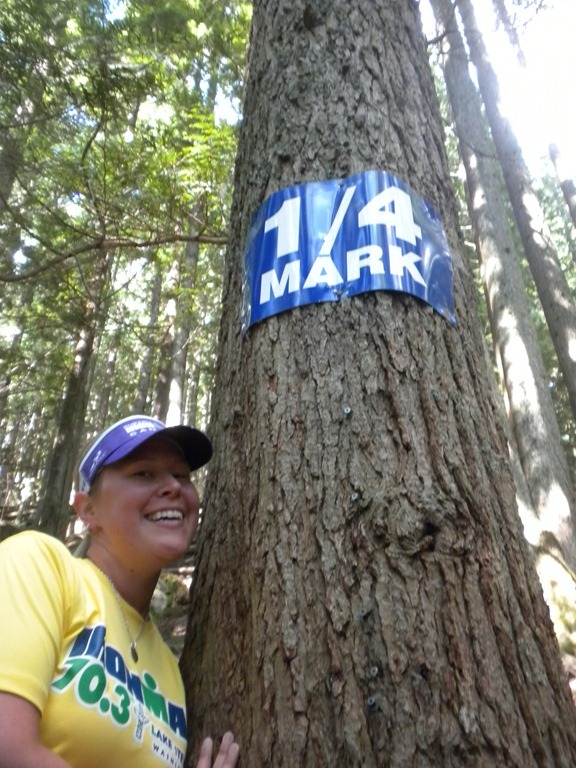 1.8 miles with 2800 feet of elevation gain? That isn’t much of a recovery hike! My legs were feeling okay so we decided to give it a go anyway. We figured if things hurt we could always turn around early. Surprisingly my legs were feeling great on the way up. Had I really just done an Ironman a few days before? 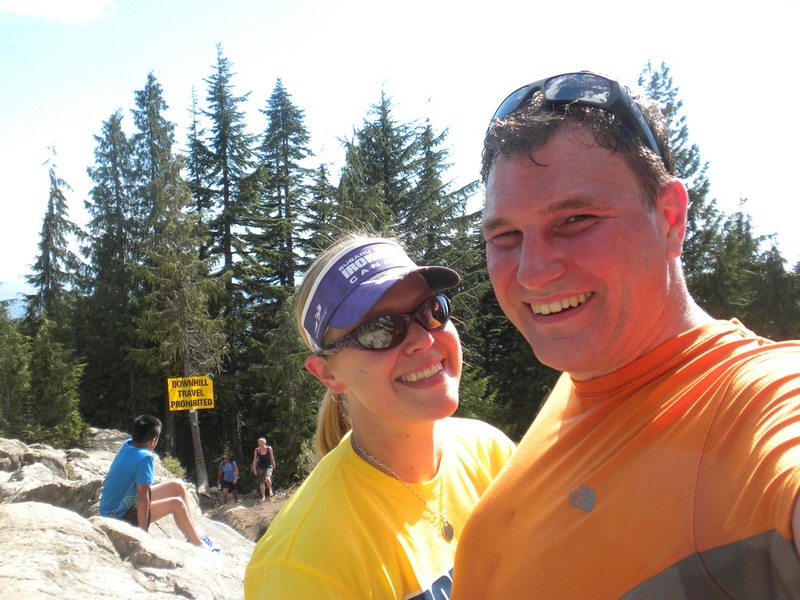 We finished in about 1:05, a full 25 minutes faster than when we hiked the Grind a few days before our wedding last year. 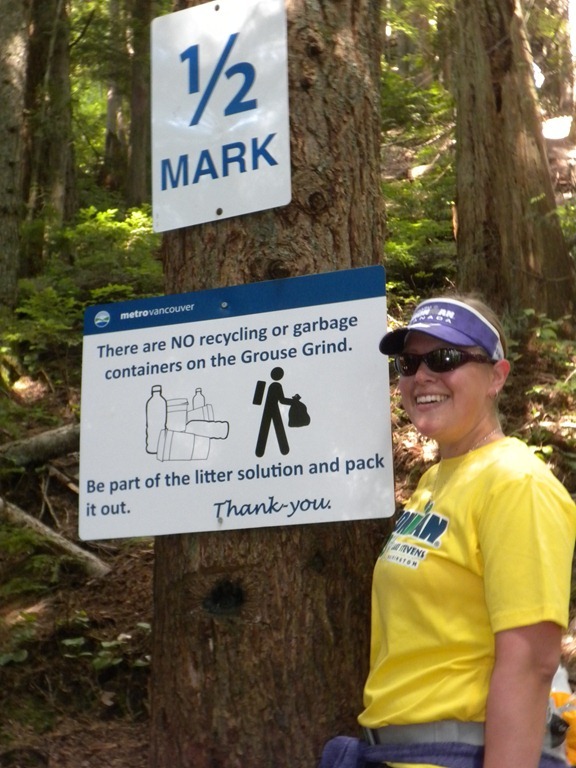 Back in 2009 I hiked the Grind in 53 minutes, so next time the goal is definitely to come in under an hour! 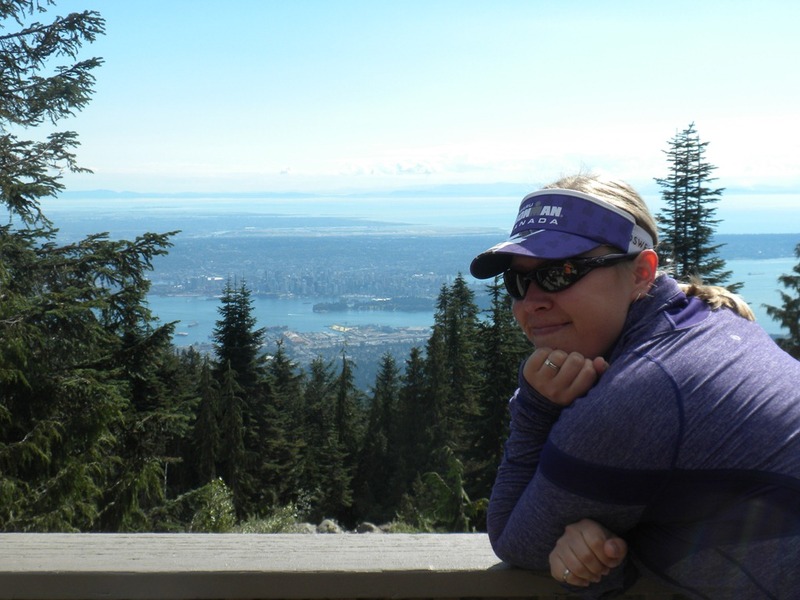 Enjoying the view of Vancouver from the top of the mountain. 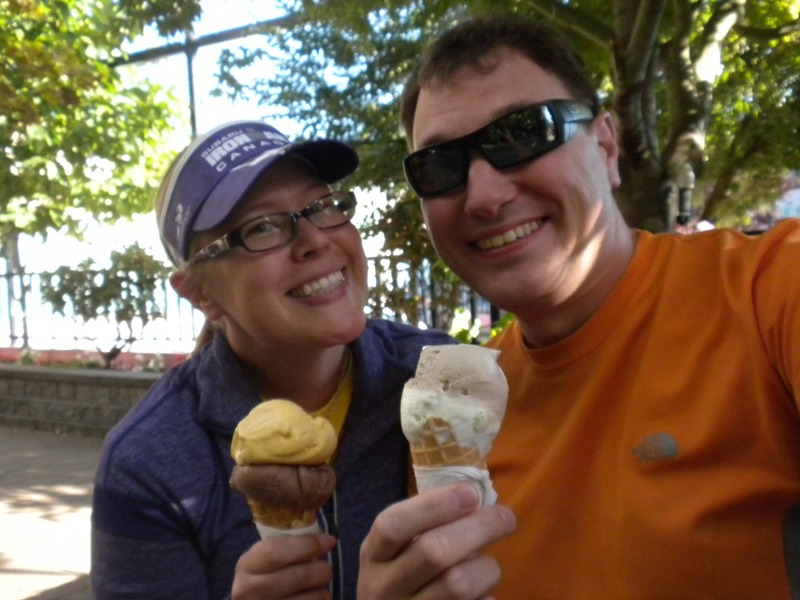 We decided to grab an ice cream from La Casa Gelato. I went for a spicy mango and chocolate Sambuca. Hubby had a pear gorgonzola with a scoop of balsamic. His comment? It was like all the best parts of a salad in an ice cream cone! 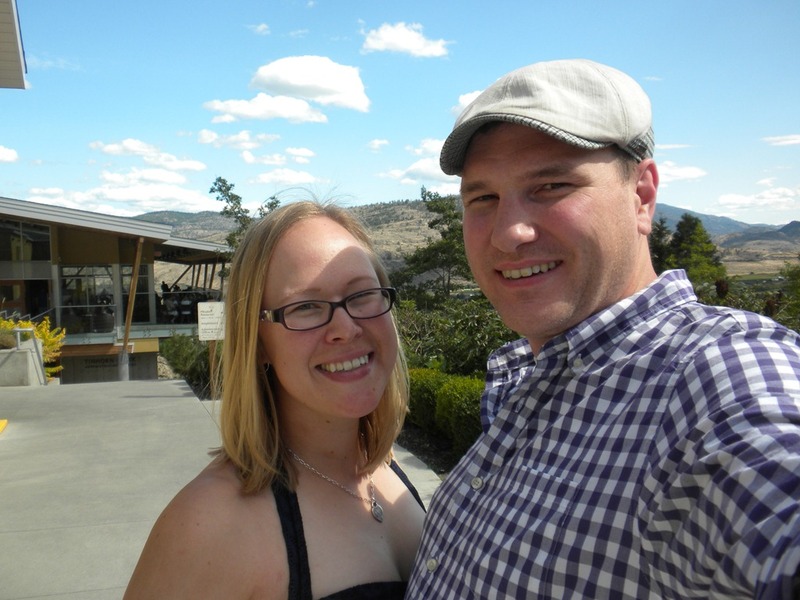 After a couple days of relaxing in Vancouver it was back to the Okanagan for a day. We took full advantage with a trip through wine country. Then it was back to work all too soon!